Please support our team of Survivors, Caregivers, Doctors, Providers, Friends, Researchers in this great cause. We walk/run in honor of all of our wonderful patients and their families. This cause is very dear to our team, and we appreciate all the support we can get! Together we can make a difference! 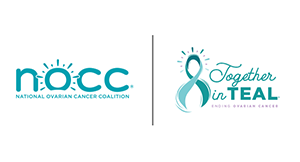 - University of Chicago Gyn Onc - Teal We Have a Cure! In celebration of our new granddaughter, Klara Gray, and to help women fighting this horrible disease.